It’s January, otherwise known as the month of holiday-spending regret. You know the feeling. Despite making a deal with your family—again—to stick to a scaled-down, old-fashioned Yuletide, you couldn’t resist. There were just too many Star Wars things! You’re not alone so here are 5 ways to cure your Christmas debt hangover. The average Canadian adult spent an estimated $1,500 on Christmas in 2017 and will likely feel a Christmas debt hangover. About 41 percent of that was slated for gifts, with the rest going to holiday travel and entertainment, according to a report from PWC Canada. Other studies tell us that two-thirds of Canadians do not save a penny in preparation for their Christmas spending. So how did they do it? You guessed it: credit. Canadian households were already stretched before the holidays, with the pace of debt growth far outstripping wages over the last decade or so. And every holiday season many reach their debt limit. Licensed insolvency trustees typically see a big uptick in filings around the fourth week of January. That coincides with credit card bills rolling in to Canadian households. Call it the Great Christmas Reckoning. Having worked with around 4,000 clients over close to a decade, I have assembled an approach to getting excess holiday spending under control. So, if you overspent at Christmas, what can you do about it? Let’s talk holiday debt repair. Put a figure on it. You know what you bought in terms of gifts. And just to have it hit home even further, add another 20 per cent on top of the cost of gifts for various Christmas-related things like extra eating out at the mall, extra food purchases, postage, shipping, gas, and a dozen or solow-soy extra-hot peppermint mocha light whip lattes—at $5 or 6 bucks each. Once you have a dollar figure in mind, you can act. It’s the old adage: “If you can measure it, you can manage it.” Own the problem. It’s time to face up. You need to stop the bleeding. Credit cards are tough to use if you don’t have them at hand. If you plan to keep them, at least put them in a locked place or give them to someone you trust to keep (a financial advisor or a family member). You’ll be amazed how little you miss them when you do this for a period of time. No more retail therapy, no more temptations. Repairing your holiday debt will not work if you keep adding to the problem. A better idea is to destroy and cancel them altogether. Or at least all but one emergency card. Another option is to get rid of all unsecured cards (regular credit cards) and get a single secured credit card to use. You’ll need a modest security deposit, but that builds in discipline and a small limit. Your credit score will also improve by paying down the balance in full every month. Nothing good ever came without some pain. You need a good two months of a personal austerity program to reign in this little beast. Only the essentials for 60 days. Watch Netflix or read a good book or play with your kids. This period will also serve to help you avoid doing this again next year. You’ll remember it. The time will fly by. Instead of paying bills immediately when you get each paycheque, make a point of setting asidea significant amount for your credit card with the lowest balance. This is an unorthodoxapproach that differs from traditional personal finance advice, which tends to focus on chipping away at credit cards with the highest interest rate. but it works because it brings with it an early sense of accomplishment. Paying a card off in full is a tangible gain that you will actually notice. Many people also feel stressed about the number of cards they are servicing. This knocks one out of the equation earlier. Make sure your payment is significantly more than the normal minimum, otherwise you’ll be paying primarily interest. Preferably do an auto-payment from your account to your debt of choice, or even get your payroll to do it so you never even see it. Doing all this will give you momentum to tackle the bigger credit card beasts later. I can’t emphasize this enough: seeing is temptation. Even if you’ve been good enough to put your cards away or destroy them, you will spend if you have the opportunity. So don’t put yourself in that situation. You are in repair mode—you had your fun and now you need to pay up. The above advice will help, but only to an extent. If your debt problem was just too big to begin with—in other words, if you already had $20,000 or $30,000 in credit card debt and just added more over Christmas—then it may be time to enlist help. You may need to be more aggressive in terms of a permanent solution. You should consider calling a trustee to discuss a legal settlement known as a consumer proposal. In that situation, you’d pay off all your credit card debts over time with no interest and at reduced principle, but keep your stuff while doing so. Lots of people do this once the Christmas debt hangover sets in and they realize the scale of the problem they face. Regardless of your situation, now is a good time to start putting aside some money for next Christmas, and avoid another post-Christmas debt hangover. For Mortgage or refinancing questions call Mortgage Architects at 250-744-5557. 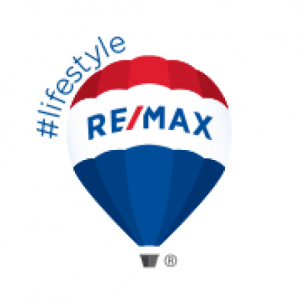 If you need help selling your home call RE/MAX Camosun today at (250) 744-3301. Winter usually brings with it a large increase in the costs of heating and energy for our homes. 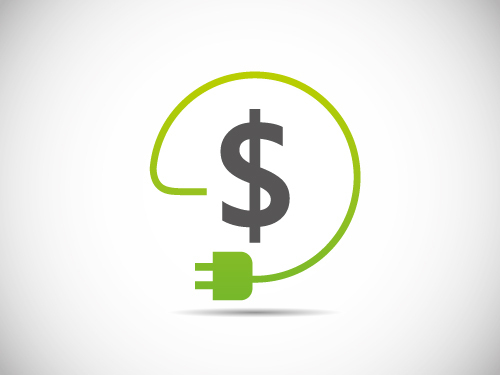 Following are some tips to help you save money on energy costs, without sacrificing your comfort. 1. Seal air leaks around windows and doors. Caulking fails over time and should be re-done every few years to ensure your home is as insulated as possible. Make sure you use the correct type of caulking for the area that needs sealing. New weather stripping at the base of exterior doors will help keep out those cold winter drafts. 2. Turn down the thermostat. Dropping the thermostat by a couple degrees when you’re sleeping or away from home can help reduce your heating costs. BC Hydro suggests 16 degrees Celsius is sufficient for these situations. Go to www.bchydro.com and click on Energy Savings for other ideas and suggestions. 3. Use an area rug. If you have hardwood floors that feel cold during the winter months, consider investing in an area rug. If your feet are warm, so is the rest of you! 4. Turn off the lights! There’s really no good reason to leave the lights on in an empty room, so get in the habit of turning them off when no one is using the room. Switching to energy efficient bulbs such as LED’s is also a great way to reduce costs. Even if you’re not using them, electronics that are plugged in still use energy. Unplug miscellaneous electronics or small appliances when not in use to ensure no additional energy is being used. Clean furnace filters help your furnace run more efficiently. Either replace the filter yourself, or call your local expert to service the unit in the fall. Having the unit professionally serviced can reduce the costs of problems down the road, and also nip any potential troubles in the bud. These are all great ways to lower your energy consumption and reduce costs, without spending a lot of money for fixes. If you’re thinking about making a move, call RE/MAX Camosun today at (250) 744-3301 and speak with one of our expert real estate agents. We have 5 offices to serve you. The kids are back in school and fall is just around the corner. So what do you need to do to make sure your home is ready for winter? Here are four important things to do, to get our homes ready for the upcoming winter! Shut down sprinkler systems. If you have an underground sprinkler system, fall is the time to blow out the water lines and shut off the water. Frozen lines can cause damage from leaks when they thaw, which then causes problems with your home, your garden and your water bill. Paying a professional to do this properly is a small price to pay for the security of knowing you won’t have pipe bursts in the spring. Clean the gutters. Once the leaves have fallen, make sure your gutters and downspouts are clear. Plugged up gutters and downspouts when we get a lot of rain can cause all manner of trouble if they overflow – damage to fascia or soffits, erosion of landscaping, and roof leaks which in turn can damage both the interior and exterior of the home. Gutters and downspouts should be checked at least twice a year (more if you have a lot of trees) and don’t forget to check the elbows and joints as these are prime spots for clogs to occur. Service the furnace and gas fireplaces. With cooler weather nearly here, we’ll all be relying on our furnaces and fireplaces to get through those chilly winter days. Have a professional service your furnace and gas fireplace to ensure they’re functioning properly. Get the filters replaced if necessary and ensure there are no problems evident. If there are problems, fix them now, before the temperature drops too much farther. There’s nothing worse than the furnace giving out on the coldest day of the year and this can easily be avoided, for the most part, if you get it serviced and repaired early in the fall. Buy some Ice-Melt, Sand or Salt. Keeping sidewalks and driveways clear of ice is important, not only for the safety of you and your family, but for anyone who happens to walk by. In Victoria, the City Bylaw requires that snow and ice be removed from the sidewalks in front of homes by 10 a.m. each day. Even if there’s no snow, the sidewalk may be slippery from overnight frost or ice, so it’s important to keep it clear. Sprinkling some Ice-Melt, sand or environmentally friendly salt on the sidewalk only takes a few minutes but can save a whole lot of pain and aggravation later. People who fail to keep the sidewalks clear of snow and ice may be fined $125 per day and the fines can be levied up to six months after the fact. If you don’t want to get any surprises in the mail, it’s best to keep the sidewalk clear. For complete information regarding the snow removal bylaw, go to the City of Victoria website and click on the Departments tab, then under Engineering & Public Works, select Streets. If you need help finding your next home before winter arrives, call a real estate agent at RE/MAX Camosun today, at (250) 744-3301. What are property lines? They are invisible lines separating one property from another. Usually, you can locate a property pin (looks like a wooden stake in a lot of cases), which shows you where your property line is. The downside of this is that unless you’re the first owner of the home, you don’t know if someone has moved it over the years. If no pins can be found, a licensed land surveyor may be needed to determine exactly where your property ends and your neighbors begins. How are property lines enforced? As a property owner, protecting your property line is your responsibility. Zoning bylaws govern things like how close you can build a fence or a building to the property line and the government does provide some services to help protect homeowners. My neighbour build a fence but it’s on my property line. This is considered an encroachment. If you want the fence moved, try talking to the neighbor first and see if they’re cooperative or not. If not, you may want to have a land surveyor do a survey plan showing the encroachment. This may assist you if further action against your neighbor is necessary. You may also be able to obtain a copy from the Land Title’s office where all survey plans are registered. The BC Property Law Act deals with encroachments and can be found at www.bclaws.ca. You know there is an issue with a property line and you want to sell. Ignoring it may cause problems and delays in your plan to move. Resolving the problem beforehand can save time and money later on. Can you decide on a property line with your neighbour? Not really. While it may seem easier to simply agree with your neighbor on where the line is, it may come back to haunt you later. If there’s a question about its location, the best thing to do is have a professional complete a survey plan to determine the exact location of the property lines. REALTORS® are experienced in these types of issues? RE/MAX Camosun REALTORS® are trained in working with these and many other issues that may arise with your new home or selling your home. If you’re considering a move in the Victoria area, call RE/MAX Camosun at (250) 744-3301 and one of our real estate agents will be happy to help. When it’s time to buy or sell a home, we all want to feel like we’ve picked the best agent in town. Learn about 10 qualities that make a great real estate agent? Check out these 10 tips for selecting a great real estate agent to represent you in the Victoria area. They “get” you and they understand your motivation. If you’re selling they understand your reasons and what you want from the sale of your home. If you’re looking to buy, they care about your budget and your needs. They’ll keep all of this in mind and take care of your best interests. They have experience and will happily provide references to other satisfied clients. Great agents continually update their education and training and make sure they stay current on real estate matters, trends and regulations. They’re excellent communicators and will keep you in the loop on everything from their marketing plans and what’s happening in the market to listing agreements and feedback from showings or open houses. The best agents explain what’s going on with negotiations, offers, and subject removals and keep you up on what’s happening throughout the entire process. They will listen to you – what you want and what your expectations are. So they can market your home in the best possible way, they’ll ask questions about your home and listen carefully to your answers. Great real estate agents are adaptable and will work with you in a way that suits your needs. Do you want to hear from them every day? Do you prefer to communicate with text or phone calls, email or face to face? Your agent will understand these things and individualize their responses in a way that guarantees your satisfaction. They’ll keep their clients motivated. Even during difficult situations, a great agent will keep a positive outlook because it’s critical to their success to make sure their clients feel supported and happy. New things don’t scare them. They’re willing to try new things to stay on top of trends and technology. If there’s a new social media platform or device or they need to learn new skills, they’ll do whatever is necessary to educate themselves. A great real estate agent understand that your timeframe is important. If you need to buy a home by a certain date, or you have to sell by a specific deadline, they’ll do everything they can to meet your expectations. The licensing board does not have any complaints, violations or disciplinary actions against the agent. If you want to verify your agent is the great person you believe they are, you can check the Real Estate Council of BC website at recbc.ca to find out about a specific individual. At RE/MAX Camosun, and through our RE/MAX University, our agents are always undergoing training and updating their education. This means they know what’s current, what’s new and what’s coming up with issues, technology, real estate rules and the market. Choosing a RE/MAX Camosun agent ensures you’ll get a great real estate agent and the best service in town, from agents who have all of the above qualities and so many more. Call RE/MAX Camosun today at (250) 744-3301 and ask how we can help.